Photo illustration by Sara Wadford. Nothing says Valentine’s Day like a box of conversation hearts. If you’re a fan of the sweet treats, your heart might break over this recent news: The New England Confectionery Co., the makers of the iconic Sweethearts candies, went out of business last summer, according to CNBC. While the Spangler Candy Co. swooped in to buy the brand in September, Sweethearts won’t make it back onto shelves until Valentine’s Day in 2020. Recognizing a potential gap in the market and a possible lost love from the candy, we at the ABA Journal decided to design our own conversation hearts this Valentine’s Day—but with a legal twist. Now it’s your turn to make the law sound romantic. 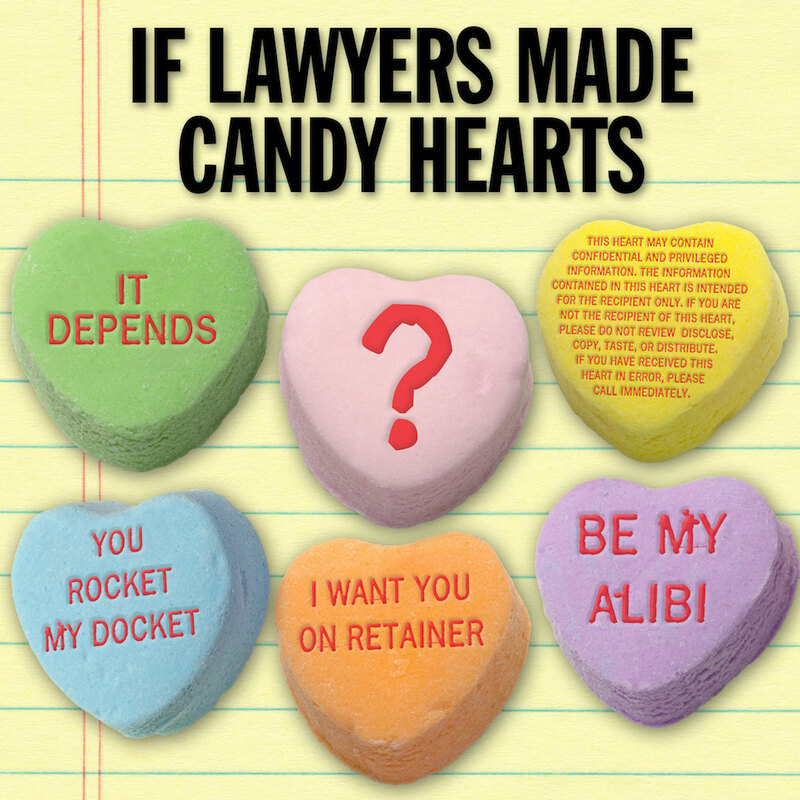 This week, we’d like to ask: If lawyers made candy hearts, what would yours say? How do you say “I love you” in legalese? Read the answers to last week’s question: Do you think online courses are effective?